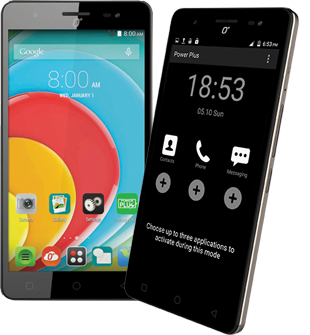 O+ Ultra now comes with 24GB memory on the fly at the same Php 7,395 asking price. O+ Ultra 24GB is now official at Php 7395. The handset is still the same device that we loved due to its juicy 4000 mAh battery. However, O+ repackaged the handheld with 16GB SanDisk memory card. It's a given thought that you don't need to worry about the battery usage with the Ultra; and now, you also have a lot of room for your multimedia files. Save more apps, videos and music on the fly with the O+ Ultra 24GB (8GB internal memory + 16GB SanDisk memory card). For the specs-initiated, the O+ Ultra 24GB comes with a 5.5-inch 720p HD display that frames 267ppi pixel density. It ticks with 1.3GHz quad-core CPU which is coupled with a gigabyte of RAM for faster app launching, browsing and multitasking activities. You can get the O+ Ultra 24GB in any O+ concept stores nationwide.